I talked to Charlie! Every time I had called he was sleeping. I called my Mom and started to talk to her and I heard my brother in the background say “I have cancer.” You have to know Charlie personally, but he was saying it in a funny voice and it made me laugh. He sounded tired. His main complaints are the awful, constant bad taste in his mouth, and not getting a full nights sleep yet. But he sounded . . . like Charlie. His next round of chemo doesn’t start until the first week of May. My Mom is still there too, which I am sure is a big help to his family. 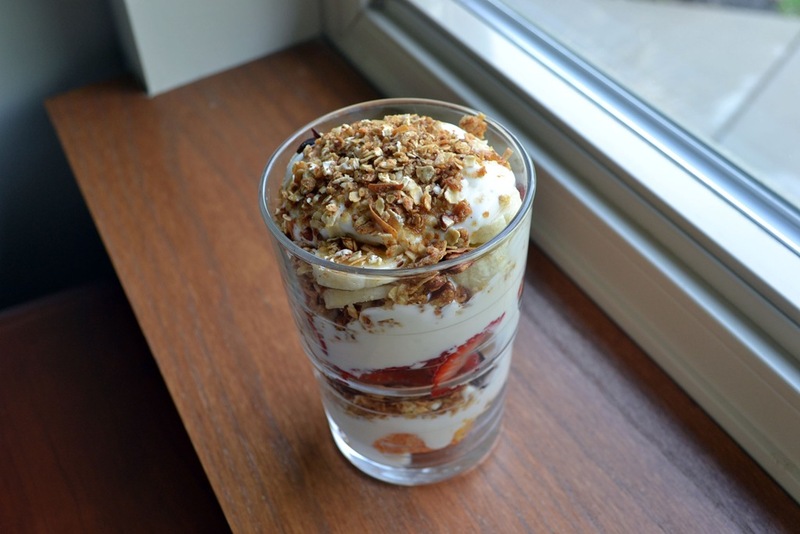 Are you stick of seeing my breakfast parfaits yet? I can’t help it – they are delicious and so filling. This one comes in at 386 calories, 2.5 fat, 74 carbs, 7.7 fiber and 23 protein. Remember a couple weeks ago when I posted the Bang Bang dipping sauce? (thanks again Jacky for that link!). I was talking with Jacky about making the bang bang shrimp and asked her if I should use the dipping sauce as a marinade or just toss the cooked shrimp in the sauce. Her response? Why not both! This time I added sriracha to the sauce too. I mixed the sauce together and using half the sauce, marinated 1 pound of shrimp for about an hour. I simply pan fried the shrimp until they were cooked through. Then tossed the shrimp in the remaining sauce. 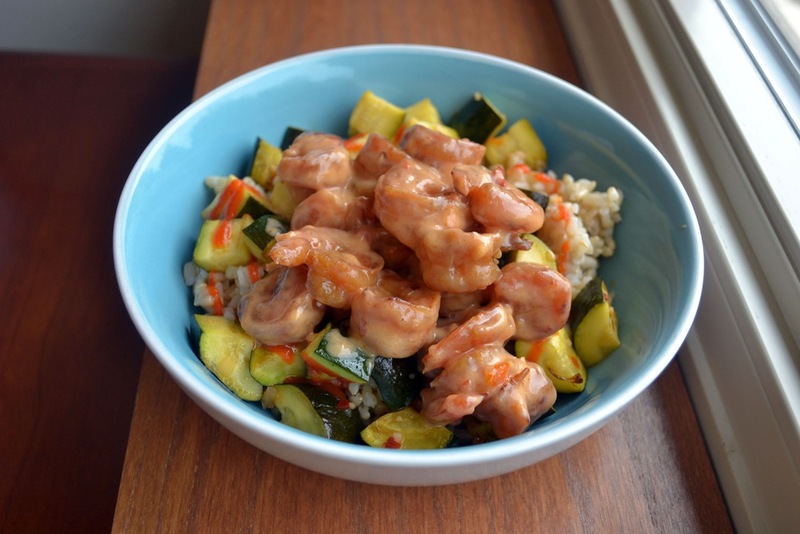 I served mine over 3/4 cup brown rice and zucchini. 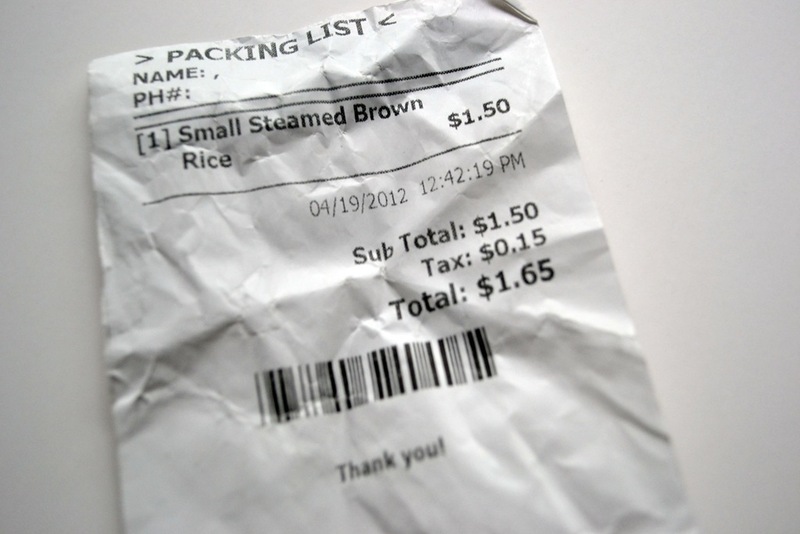 On my walk yesterday I stopped at a Chinese restaurant and ordered a container of brown rice – it ended up being about 3 cups of rice for $1.65 – nice! I swear if I had Bonefish Grill’s bang bang shrimp and that dish, I am not sure I could tell the difference. Best part? That whole bowl (4 oz. 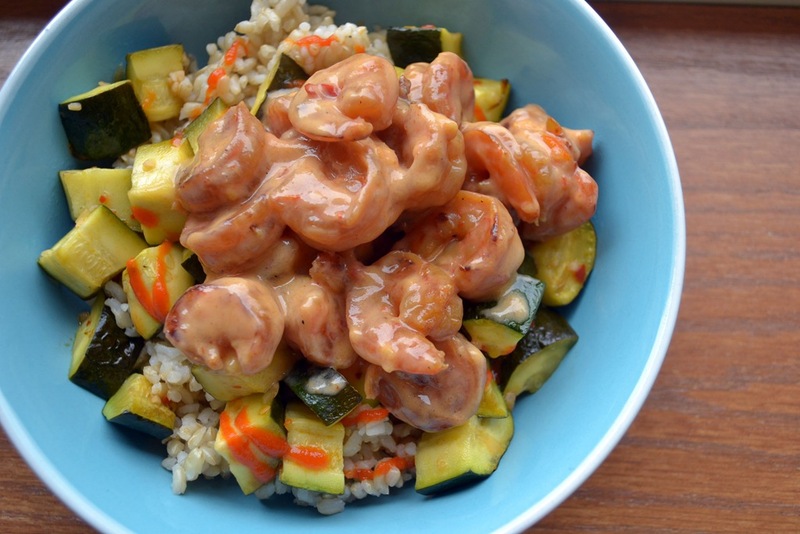 shrimp, marinade, zucchini, brown rice) comes in at 369 calories, 5 fat, 50 carbs, 4.3 fiber and 29 protein. We had a birthday celebration yesterday – more snacks! 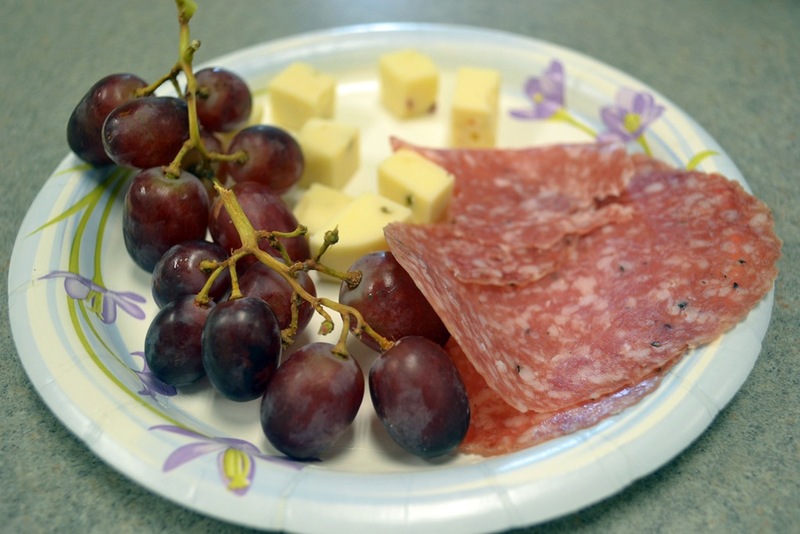 This time I had some grapes, some cheese, salami and unphotographed – a few tortilla chips and garlic crisps – my snacks set me back 289 calories, 14 fat, 23 carbs, 1 fiber and 15 protein. When I got home from work I picked up the mail from my mailbox – my Saveur magazine in the mail . . . check out all this bread! 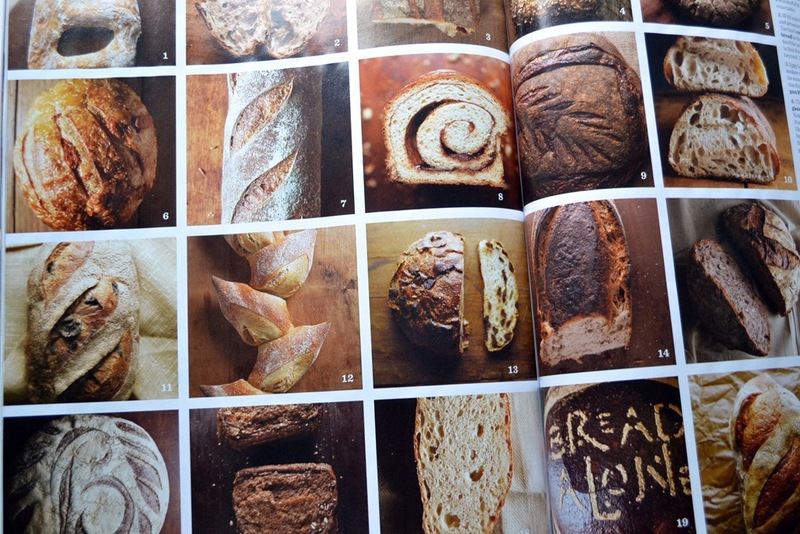 One of the first breads I am going to make from this issue is an Italian loaf of bread that has a biga, or starter you make the night before. It doesn’t seem too complicated, but there is a lot of resting, so I’ll tackle it over the weekend. Guess what Tony wanted for dinner? Pizza! But about one of the few times I didn’t actually have everything to make one at home. A quick phone call and 45 minutes later, dinner was served. I have to admit, it was kinda nice to sit back and read my magazine and relax. 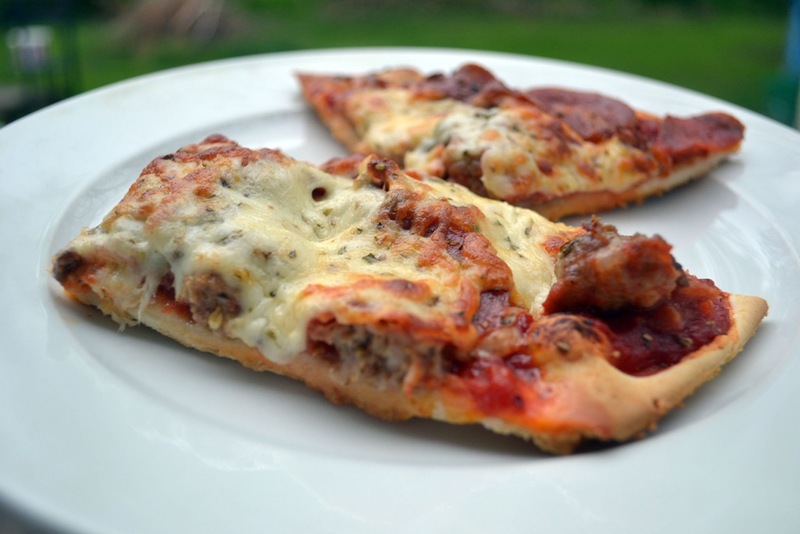 I had that plate, plus one more just like it – I like the ends and middle pieces equally. Dinner comes in at 576 calories, 33 fat, 44 carbs, 2.4 fiber and 24 protein. Hooray for Friday! Although I wish it was 5:00 already. Hopefully my work day will go by fast. Make it a great day!